The mention of the word revolution brings forth thoughts of French, Russian and Chinese. The last among them being in 1949. Since then the world has seen less spectacular but as far reaching developments, brought about by regime change. This itself has been a product of slow gestation but pregnant with valuable consequences. Directly or through proxy the power of the people has displaced monarchies and dictatorships. Instituted in their place was the will of the people, the rule of the demos – the people – with the term democracy. In 1952 Egypt displaced the Monarch, King Farouk in a peaceful army coup led by Gen. Naguib with people’s support to the hilt. After a while Col. Nasser replaced him and ruled as a popular leader. In the line of army personnel, the last one was General Mubarak. A seething mass of pro-democracy anti -Mubarak demonstrators showing their determination to remove a dictatorship. Military rule of 59 years ended in 2011. His rule, good in the beginning and tainted with corruption and human rights violations latterly, failed to meet with people’s aspirations. Elections lost their credibility and discontent issued forth in a show of people’s power. This one was in the wake of Arab Spring and had its success in Egypt in 2011. The uprooting of an entrenched dictatorship was a remarkable triumph for the people. The images below and on TV showed how men and women with the youth as conspicuous partners surged in lakhs to secure victory. The rule of Reza Pahlavi, the Shah of Iran did not resonate with the people’s religious sentiments or their political orientation or their scheme of values. With the chasm widening by the day, the Shah increasingly alienated himself from the people. Every mode found in the book of dictators was used to muzzle thought and expression and to suppress dissent or opposition. Iran had slid fast into a ‘Police State’. 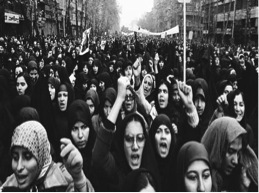 Iranians had a rallying point, a symbol of their hope in Ayatollah Khomeini. But he could no longer remain in Iran and had to flee to France. From there he sent messages continuously, fomenting resistance if not rebellion. With organization enveloping the countryside, anti-Shah venom could not be contained by the Police. Neither could their strength seen in numbers and verve be confronted with. After some firing, the military declined to fire at the mass of humanity. How impossible it is can be gauged from the surge of protesters as seen below in the images. A dictator blinded by the maya of power may think that the military will fire at a command. It doesn’t happen. A gun becomes less than tinsel at that moment. People’s Power turns the very alchemy of gun metal. In Iran it changed the timelines of history. The Shah preempted the impending catastrophe with an early exit. Khomeini advanced his reentry to Iran. History itself changed course. The country writhed under the dictatorship of Marcos. It became infamous because of ill governance, rights abuses and limitless corruption. Hope of regime change disappeared after a sequence of rigged elections. Anti-Marcos Peoples Power Revolution loomed large in February 1986 and Rally for Governance Reform added zest to it. Mission was accomplished and an era of political murders ended. For Sri Lanka to take her cue from and to put her act together, herein lies a text book model. Decades of iron handed dictatorship enforced by Gaddafi was purported to be for the good of all Libyans. With oil prices escalating from early seventies, wealth and fortune flowed into Libyan coffers. With the flow commenced the growth of rigours of dictatorship. In due course, came in the full complement of press control, suppression of free speech and of assembly and finally a Police State. These happen when personal rule gets transformed into familial rule. Money flow through many channels makes necessary a diversified network of centres of power. With such a development, people were relegated to the very extremity. When they were chafing and smarting, appeared the Tunis example of a dictatorship being toppled by people’s power. Forty years of violent rule needed very violent forms for its overthrow. The wealth of the state illegally siphoned off and stashed away is estimated at even as high as $ 200 billion. The huge amount explains the difficulty in uprooting the deep roots of corruption. This amount also gives a clue to the hoards of lesser suspected Presidents. For most if not all, sinister intentions are cloaked in finer professions. Will to power is palmed off as benevolence towards society. When power grab is in place, money grab begins. After the dictator’s pockets are full, family pockets are filled. Yet there is no limit to power and pelf. Then thoughts of DYNASTY follow. Apprehensions of impermanence creep in. At this stage, Military support is deemed indispensable for permanence. Feathering the bed of the military then goes apace. Before the sojourn ends, peoples’ revolt begins and the dream ends. But thoughts are on continuing with the dream. Parliamentary means or facade are then cast aside to institute a naked dictatorship. At this conjunction stands Sri Lanka today. Are the nine years in Sri Lanka Different? If not, why should the end be otherwise? Karl Marx fortified by his mastery of history asserted that those entrenched in power will never vacate the stage voluntarily. They have to be pushed out forcibly. In Sri Lanka it was not power alone. The finances that went along with it are far too huge to let go. A titanic struggle is sure to be waged earlier than later with a share in the spoils as the reward for support. The struggle as the government would know is best fought by the trained. It is on them that the government will dance attendance. Vigilance and more would be required from the side of the Opposition. With an awareness of such an eventuality, a demonstration of solidarity can help forestall a dangerous possibility. The most important article written by you but unfortunately most of the people in Sri Lanka are not able to access to your article due to language barrier and unavailability of this web site.Good luck. So you want a revolution just like that to chase away Rajapaske do you Chunky Brows? Before that we need to unravel the Rajapaske story isn’t it? First, TNA folks were invited by Tamil Chelvam for a discussion on how to handle 2005 Prez election. During the 3 hour long discussion Chelvam reveals to Sambandan the details of the “final war”. Then he asks who the best Sinhala leader to be in charge when UDI is declared. Sambandan responds not to select Ranil W because he is liked by the co-chairs and a guy who is connected around the world. 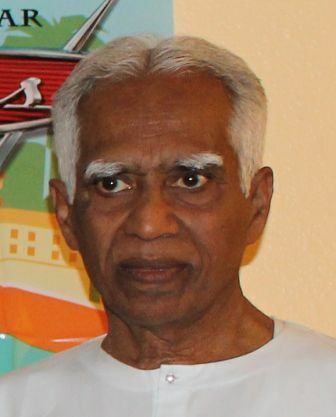 Sambandan also recommends to boycott the election so that Rajapaske gets the most votes. You cannot imagine this happening any other way do you? So now that Sambandan and his TNA brought Rajapske to power, it is them who has to take him out as well isn’t it? How does Sambandan do that? Well, conniving and underhand maneuvers appear to have failed. The only thing left is to deal with him honestly on his terms isn’t it? This is what the universe demands isn’t it? What do you think Chunky? Take your fascist visors off then may be imagination would dawn on you. Listen you weirdo! Nothing you say sync with anything does it really? You are the epitome of Malle Pol. Cheriya lamaya? Also why not cease calling people names? Didn’t your mama teach you civility aah? You are just proving that your pedigree is that of the slave stock carted from South india and you had no clothes biscuit boofer. Go back into the pit you come from para sihala buddhist fascist who has jumped ship and now working against MR your former god the butcher. Sour grapes your birth from the rear hole perhaps. and can “arrange” for a Coup when suitable, with CJ will be ruling that under the prevailing threat to Sovereignty, by UN and IC the current National Leaders will continue until the Army releases its grip – like accepted in some other Countries. MR has had tuition from Burma in the May 2009 visit? Racial controls are in place like in Burma even with CW Membership. MR is Chairman of CW does not matter. Chinese Defence Attache to its Embassy an indicator? Chinese PE in SL, to test India. The active Army Officers seconded under MEA have been given a luxurious rest-period and are kept to be summoned to manage the “Coup” in the next stage of “Governance”. They have Files connected to war-crimes. Sanctions are nothing to the Royal family. Media cohorts will manage propaganda. Media will be under strict Army censorship. Supporting Media firms will in return be paid heavily with Advt. costs so that they don’t close down. The Sinhala intellectuals in the Legal/Medical/Health/Educational sectors will just hang-out, as now, some taking wings reading this insight(?) is one possibility. Anti-MR TU Leaders will all be bought-over with hidden Chinese funds – Amounts will be in Millions. Will anyone deny this kind of Gift? Henchmen and cohorts will happily continue for a decade at least. All politicians making a noise( like Mangala) will be taken-in under the PTA by the Dist. Army camps for long-term questioning. NP is already under Chandrasiri & Douglas – a successful trial. Awaiting the correct time, even astrologically, is MR forte. If China can have its own Dictator here, like in Burma it will be 50% Geo-politics success with its new Naval-Air Base in H`tota/Trincomalee. US visits are all for Hippocratic reasons. If this fertile imagination is good – will it come into play? Lets wait 9-1-15 and see. Imagination need not be wrong, because it is fertile. It might have been scripted already. 9-1-15 or earlier is a correction. What the Libyans will NEVER see again thanks to the NATO sponsored ‘Arab Spring’. It is rather different from the narrative the author has chosen. A peoples revolution of the kind in Egypt, Tunisia and the Philipines will not materialise in Sri Lanka. Only the trade unions were capable of bringing their men to the streets at one time. They have been dimished beyond recognition. Only organized , transported and intoxicated thugs can be brought to the street. We are not people to brave the tear gas, batons and bullets that will be showered on them by a concienceless government. The revolution in Sri Lanka has to come from the ballot box and the people waiting to do that. As for the 2nd para, no ballot box ever gives birth to a revolution. The offspring has only evolutionary features. Your culture is different from that of Czechoslovakia Václav Havel the writer where the ballot box created the revolution and joining the EU with ease plus prospering. Ukraine has bears who just punch as we saw of the owner of a British newspaper. To that extent the Chinese must be given credit for they weigh and consider the financial involvement and stay put or move as in Sudan. Lankians never fought for freedom even during WW2 but hid in Hindia and supported Japan to bomb Colombo. Hole in One VP did the battle for the Sihala by driving the Hindians out so that they may not enter the south. When South China Sea issue was first taken up China showed a computer simulation of 3 nuclear subs destroying the 7 th fleet So now the Japanese and Americans are building advance nuclear subs at Darwin. Hindia is typical with outdated russian equipment and unable to be involved in the manufacture of the 5th generation stealth fighter with russia even though the investment is 50/50 which even angered Manmohan. You mean Rajapaksa’s thugs filling-out the ballot box. 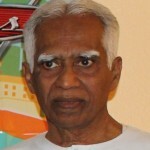 You and your brother never controbuted to the Tamil struggle, sorry you knew nothing about people power.